Xoc Maya Calendar is written by Greg Reddick. Greg has studied the Maya for over 25 years, and visited most of the major Maya sites in Mexico, Guatemala, Belize, and Honduras. He has attended the Mesoamerica Meetings (formerly Maya Meetings) held by the University of Texas since 1994 directed by Linda Schele, and later Nikolai Grube and David Stuart. 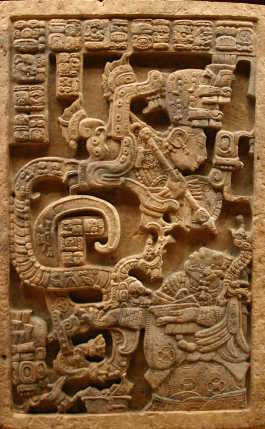 His primary focus is on Maya calendrics and astronomy, particularly the information presented in the Dresden Codex. When he isn't studying the papers of John E. Teeple, J. Eric S. Thompson, and Floyd Lounsbury, he dances Argentine Tango, sails on Lake Washington, maintains a web site on Porsche Boxsters, plays hold'em poker, and chauffeur's his kids to various events. He also teaches computer programming, web development, and software development.